Lying at the heart of Central America and 12 degrees north of the equator and approximately the size of England, it is the largest country in Central America. The country covers a total area of 129,494 square kilometers (120,254 square kilometers of which are land area) and contains a diversity of climates and terrains. The country's physical geography divides it into three major zones: Pacific lowlands, the wetter, cooler central highlands, and the Caribbean lowlands. The Pacific lowlands extend about 75 kilometers inland from the Pacific coast. 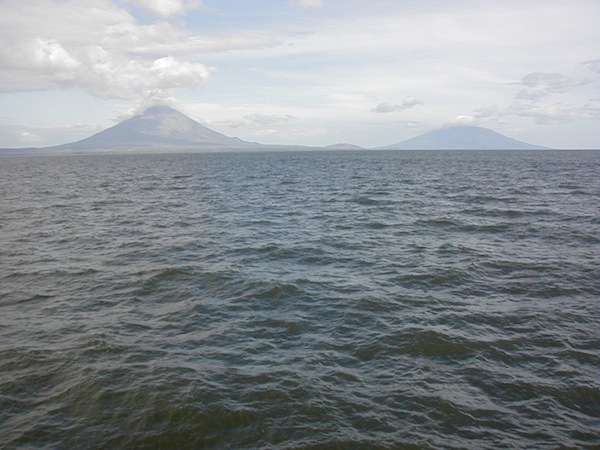 Most of the area is flat, except for a line of young volcanoes, many of which are still active, running between the Golfo de Fonseca and Lago de Nicaragua. These peaks lie just west of a large crustal fracture or structural rift that forms a long, narrow depression passing southeast across the isthmus from the Golfo de Fonseca to the Río San Juan. 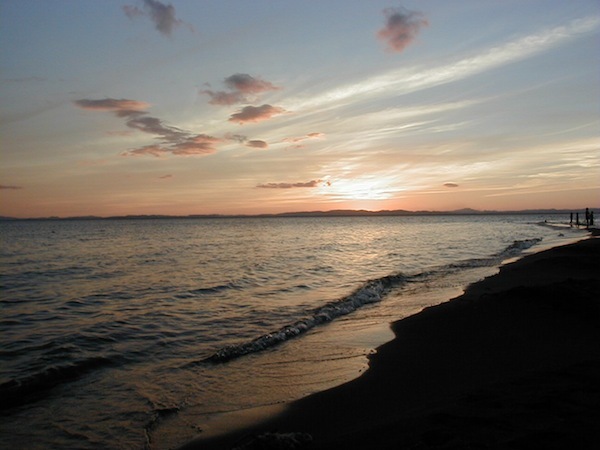 The rift is occupied in part by the largest freshwater lakes in Central America: Lago de Managua (56 kilometers long and 24 kilometers wide) and Lago de Nicaragua (about 160 kilometers long and 75 kilometers wide). These two lakes are joined by the Río Tipitapa, which flows south into Lago de Nicaragua. Lago de Nicaragua in turn drains into the Río San Juan (the boundary between Nicaragua and Costa Rica), which flows through the southern part of the rift lowlands to the Caribbean Sea. The triangular area known as the central highlands lies northeast and east of the Pacific lowlands. This rugged mountain terrain is composed of ridges 900 to 1,800 meters high and a mixed forest of oak and pine alternating with deep valleys that drain primarily toward the Caribbean. Very few significant streams flow west to the Pacific Ocean; those that do are steep, short, and flow only intermittently. The relatively dry western slopes of the central highlands, protected by the ridges of the highlands from the moist winds of the Caribbean, have drawn farmers from the Pacific region since colonial times and are now well settled. The eastern slopes of the highlands are covered with rain forests and are lightly populated with pioneer agriculturalists and small communities of indigenous people. 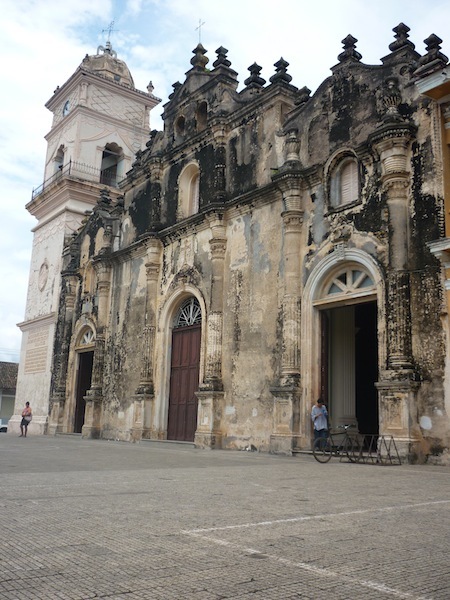 For a detailed description of Nicaragua's geography try Wikipedia.